Corsica and Sardinia, these two French and Italian islands have been cherished by thousand and served as a yacht charter destination for decades. The islands are well adapted for the yachting industry and have not lost their charm, they are truly waters to be cruised. With a dramatic and gorgeous coast line Corsica is the perfect yachting destination in every part. From St Florent and Calvi in the north to Bonifacio and Porto Veccio in the South. With natural parks covering two thirds of the island, Corsica’s nature is largely very well preserved. Book a Corsica Yacht now! Calvi known as “The City of Columbus” is located on the north-west coast of the island and is a perfect start of your holiday cruise. Walk this small picturesque city on the peaceful pedestrian streets and the medieval citadel or enjoy one of the cafees or restaurants with a view of the port and marina. The area is prone to onshore winds has a mild climate and golden beaches. The National Reserve of Scandola Reserve is situated on the central western coast of Corsica between Punta Muchillina and Punta Nera and includes Cape Girolata and Cape Porto. The astonishing coastline is studded with offshore islets and sea pillars rising out of translucent waters and has been listed buy UNESCO for its beauty and heritage. Ajaccio is the Capital of Corsica and the birthplace of Napoleon. Maison Bonaparte is open to public so make sure visit it on your Ajaccio city walk. The open vegetable and fish market is also worth a visit to indulge in that Corsican flair. Otherwise Ajaccio is a center for anyone liking the outdoors. Hiking, trekking, horse riding and any type of water sport are just a few activities you can do in this area. The city has one of the island’s major airport so Ajaccio is a good place on embark or disembark your chartered yacht. You should charter in Corsica as well! Approaching Bonifacio by sea you will see the city and the citadel high on top of the cliffs with no visible access from the sea. A narrow and hidden entrance opens up to a deep natural harbour and is today the home of the picturesque and vibrant Port of Bonifacio. With a history dating back some 8500 years, walking through the streets of Bonifacio’s old town will take you back in time. It is fully encircled by the citadel walls and you can access it by foot via the Montee Rastello and the Montee St-Roch steps from the port or via a main road. Situated on the south-east corner of Corsica, Porto Vecchio is naturally a well protected harbour and port. It is the third largest city in Corsica with a tradition of exploitation of salt, wood and cork. 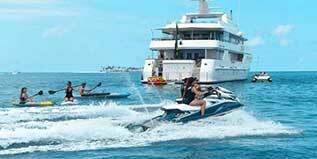 Today it is an excellent yacht destination with it’s beautiful coastline and sandy beaches. Dividing the Tyrrhenian Sea and The Western Mediterranean Sea the Strait of Bonifacio is the waterway in-between the islands of Corsica and Sardinia. On the north side of the passage you have the islands of Cavallo and Lavezzi belonging to France and on the south side lies the Italian Archipelago of La Maddalena. The spectacular coast line is a protected nature reserve, the largest in France – Réserve Naturelle des Bouches de Bonifacio. With an infrastructure designed with the yachting industry in mind, a sailing Sardinia charter is incomparable, more so aboard our motor yachts. Cruise to your heart’s content and explore this Italian island before you hop on to the French island of Corsica to visit Ajaccio. A Corsica sailing charter aboard one of our sailing yachts is the perfect opportunity to explore the island’s gorgeous and dramatic coastline with friends and family. Make it an adventure to bond, spend time together, and enjoy warm waters perfect for swimming and snorkeling. Our spacious sailing catamarans will take your group to Corsica, the Bay of Girolata and the Bay of Porto, the coast of Bonifacio, and to Sardinia in comfort and style. And when the sun sets, dine with nature as a backdrop and party at their spacious interiors and exteriors. 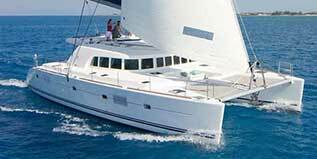 We offer Corsica and Sardinia yacht services aboard our power catamaran. Spacious and manned by a friendly and professional crew, you will experience excellence during your sailing adventure on these beautiful islands. Book a yacht charter to Corsica and Sardinia today. Sardinia is the second largest island in the Mediterranean Sea, with an area of near 24 thousand square kilometres. 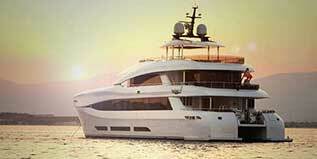 The coast line with it’s emerald characteristic coves and beaches is a superb yacht charter destination. Maddalena Archipelago consists of seven main islands and numerous islets and coves. The islands have been inhabited since prehistoric times and was a busy shipping area with strategic value. Today we visit it for it’s beautiful coast line. Crystal clear waters and wind blown granite coastlines is a haven for wildlife. It is a designated National Park, the Parco Nazionale Arcipelago di La Maddalena. 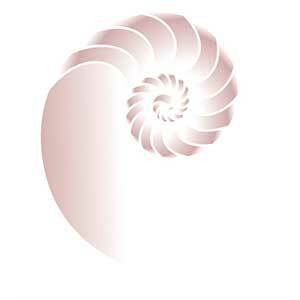 South of the Maddalena archipelago you will find Costa Smerlada. This beautiful area is a must for celebrities, business leaders and other affluent visitors. The bay of Cala di Volpe, Porto Cervo, Porto Rotondo and Porto Portisco are without doubt top destinations for your luxury yacht charter. Excellent cruising for sailing and motor yachts alike, fashion shopping and culinary delights all served with a gold tinted pizazz in a relaxed atmosphere. Our Corsica Yacht Charter is at your service! South-east of Olbia you will find the Island of Tavolara and the Area Marina Protetta Tavolara Punta Coda Cavallo. Important natural values, enriched by a spectacular landscape make this area of international importance for conservation. The City of Cagliari is the capital of the island of Sardinia and is located in the very south of Sardinia. It is an ancient city with a history of several civilizations. The fortified quarter of the Castello that overlooks the city and its monuments; the Medieval Rampart of Saint Remy, the Elephant and Saint Pancras Towers, and Saint Mary’s Cathedral all deserves a visit together with the beautiful Palazzo Regio with it’s piazza. Book our Corsica Yacht Charter to get there! On the South-Eastern end of the bay of Cagliari, just off the Capo Carbonara you will find the protected marine area of Area Marina Protetta di Capo Carbonara. A diverse coastline formed by the natural forces of wind and waves and crystal clear waters makes this a heaven for divers. 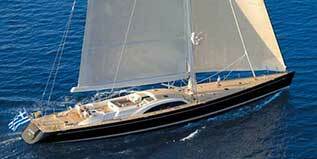 Well-adapted for yachting, a Sardinia & Corsica sailing charter will be a fun cruise experience for you and your crew. Everything you need to sail smoothly, these islands provide. Use this form to create your luxury sailing itinerary and you’ll see what we mean. From the sea and on land, the French Island of Corsica treats all your senses to its dramatic beauty. Stay close to the gorgeous coastline or explore further in the picturesque city of Calvi or the Maison Bonaparte in Ajaccio. In Sardinia, you will enjoy a variety of things for wonderful tales to tell back home. From its numerous islets and coves, it will be a sailing Sardinia charter you won’t forget. 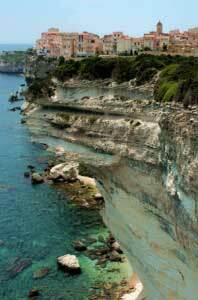 Explore also the Bay of Naples, another splendid yacht charter destination.